Drawing on combat experience from Mogadishu, Somalia to Mosul, Iraq, Retired SGM Kyle E. Lamb passes on lessons learned to fellow Warriors. 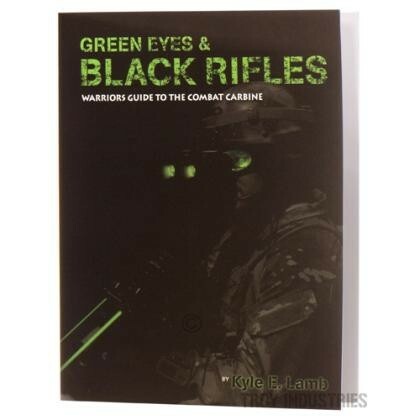 Green Eyes and Black Rifles: The Warrior’s Guide to the Combat Carbine is intended to enhance your shooting skills, and refine the tactical employment of your combat carbine. New shooters and veterans alike will find a wealth of information and numerous tools for their tactical toolbox. You will also see references to combat mindset, and its value in training and actual encounters. So learn, enjoy, and most of all, stay in the fight!